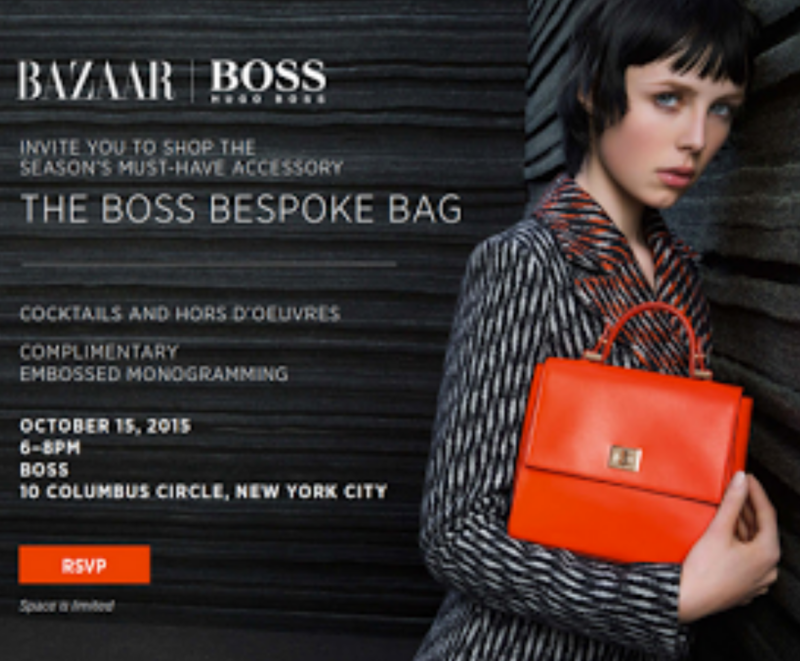 Bazaar and Hugo Boss invite you to shop the seasons musty have accessory….the Boss Bespoke Bag. There will be cocktails and hor d’oeuvres. Tags: Bazaar, cocktails, Fashion, Free NYC, Hugo Boss. Bookmark the permalink.